The Future of Vertical Lift. 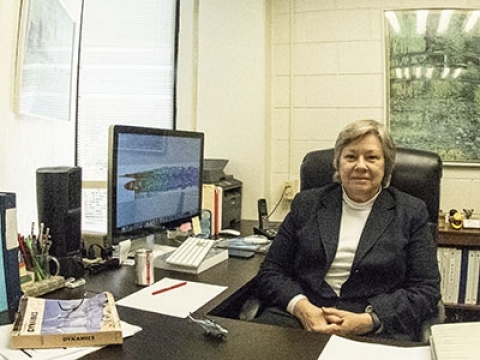 Longtime Daniel Guggenheim School of Aerospace Engineering professor Dr. Marilyn J. Smith will now head up the Georgia Tech's Vertical Lift Research Center of Excellence. Dr. Marilyn J. Smith has been named the new director of the Vertical Lift Research Center of Excellence (VLRCOE), a nationally recognized hub of rotorcraft research and education housed at Georgia Tech. The longtime AE professor and AE alumna will succeed retiring AE professor Daniel Schrage, who has held the post for 32 years. 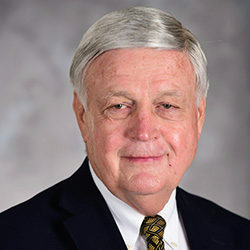 Announcement of Smith’s promotion to the position was made this week by Mark F. Costello, the William R. T. Oakes Chair of the Daniel Guggenheim School of Aerospace Engineering. “Professor Smith is a well-respected scholar by both academic and industry leaders around the world for her rotorcraft research as well as for her mentorship of the next generation of vertical lift engineers,” he said. The VLRCOE at Georgia Tech conducts basic research focused on scientific barriers in technologies that support current and future vertical lift capabilities. Funded by a consortium of sponsors that includes the US Army, US Navy, and NASA, the VLRCOE at Georgia Tech is part of a national network of state-of-the-art research programs housed at academic institutions. Over the course of its 36-year history, Georgia Tech’s VLRCOE has promoted research that has resulted in software algorithms and simulation models that are now in regular use across the vertical lift community. Schrage predicted a bright future for the VLRCOE under Smith’s leadership. "For the past three years I have been fortunate to have both Dr. Marilyn Smith and Dr. J.V.R. Prasad serve with me as associate directors of the VLRCOE,” he said. “Both have been outstanding and have served as the foundation for the Georgia Tech VLRCOE for the past decade. Marilyn, in particular, is a tireless worker and her appointment to the position of director is only the latest in a long list of accomplishments that make her a stand-out colleague." As director of AE’s Computational Nonlinear Computational Aeroelasticity Lab, Smith leads an internationally recognized and award-winning research team in the areas of unsteady aerodynamics and computational aeroelasticity using Computational Fluid Dynamics (CFD) for all vehicle types including rotary-wing, fixed wing and launch vehicles, as well as sustainable energy (wind and wave energy). Smith needs no introduction to the larger vertical lift community. Already a Vertical Flight Society (VFS) Technical Fellow, she was named as VFS’s deputy technical director-aeromechanics last year, and she is the director for the Southern Region of the VFS. 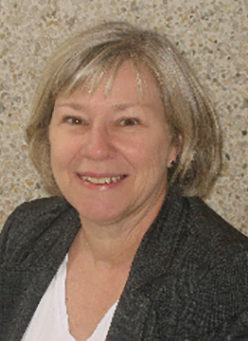 Smith has won numerous honors for her Vertical Lift research including two Best Paper Awards at the 2015 AHS Forum, two AHS Agusta-Westland International Fellowship Awards, and two NASA Group Achievement Awards. Her simulation tools for unsteady aerodynamics of bluff bodies and her CFD developments in unstructured and hybrid dual-solver aeroelastic solvers have been adopted by the DoD, NASA, and industry.. In addition to accolades, Smith has earned the respect of her colleagues through service: she served as the technical chairperson for the 70th AHS Annual Forum, the technical deputy chairperson of the 69th AHS Annual Forum, and the chairperson of the 2014 Overset Grid Symposium (OGS). “With the support of Dr. Costello and Dr. Schrage, I hope to integrate our vision of a larger vertical lift community at Georgia Tech as well as expand into new areas of research of complex systems. We are planning new initiatives in learning for the 21st Century. My role will focus on transition to grow and mentor the next generation of vertical lift faculty and alumni at Georgia Tech."